Try something different to get your family out of its vacation comfort zone. When it comes to all-inclusive resorts, there are plenty of options in the U.S. From private island options and upscale dude ranches to farms and estate resorts, who needs a passport? 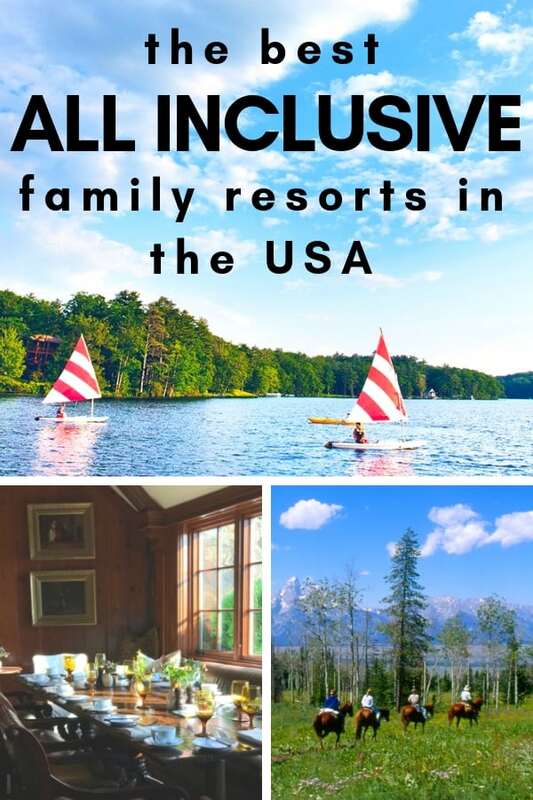 Here are some of the best all-inclusive family resorts in the US to consider when you aren’t into the standard all-inclusive resort vacation. We show you family resorts with summer camp level activities, beach options, dude ranches, elegant luxury estates, and a few outside-the-box options for vacations with meals and drinks included. Some all inclusive resorts have no crowds because they are privately owned islands. Woodloch Pines Resort is modeled after the all-inclusive family resorts of yesteryear. Think Dirty Dancing’s fictional Kellerman’s Resort— but today in the Poconos. And yes, there are retro dance shows at night, so pack your beige iridescent lipstick, Keds, and clam diggers. Woodloch Pines Resort is for those seeking a packed schedule of family activities and shows. For good, clean family fun, this all inclusive resort delivers endless options. To satisfy active families, guests find indoor and outdoor pools, kayaking and rock climbing walls, and winter sports like snow tubing and ice-skating. 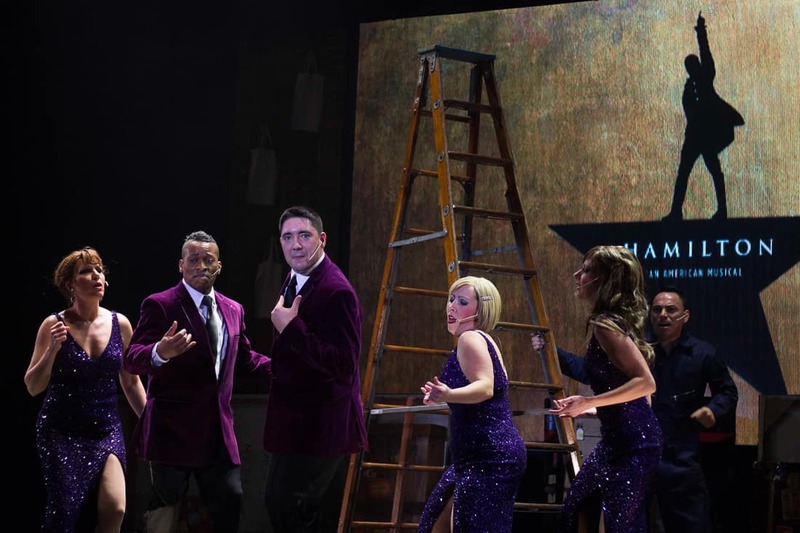 Nightly shows with live music, comics, and magicians give the resort that retro feel. Every season and holiday is celebrated in the extreme. Parents who miss summer camp will get to play like a kid again. Some of the resorts more unique activities include their own onsite escape rooms and paintball adventures. Their snow tubing course is a winter highlight. More epicurean offerings include wine tastings and cooking demonstrations as well as on site art classes. Woodloch Pines Resort is for those seeking a packed schedule of family activities. Wooldloch’s family resort is not a luxury resort. However, they have private homes one can rent within their estates section at the Woodloch Springs community. Guess staying in these homes along the golf course have access to the resort shuttle and are two miles from the resort’s action. Guests can choose between a full meal plan or rent the house only. Pictured below are the newest three-bedroom townhomes in the Tallwoods section. Luxury can be found nearby at the critically acclaimed destination spa, The Lodge at Woodloch. Children must be 16 and older to stay here. But guests of the family resort can book experiences at the spa. In addition to standard spa options in fitness and nutrition, the Lodge at Woodloch offers art and creative classes. Meditation and mindfulness instruction teaches true well-being. Next to the Woodloch Family resort is a luxury destination spa that guests can use. But Spa guests must be 16 years or older. Vermont’s Tyler Place Family Resort opened its doors to family travelers in 1933 looking for an old-fashioned and outdoorsy bonding experience with loved ones. Today, Tyler Place offers a modernized update to old-fashioned fun from swimming to pony rides along with canoeing, tennis, water sports, a robust kids’ clubs, and evening programs dedicated to adult time. Families make friends with other guests and rebook the following seasons for the same weeks. Some weeks are unofficially known as the New York crowd, or the DC crowd. Check with the resort about which week best fits you. Tyler Place runs a summer program for families who return every year for their same week. Unlike many resorts, Tyler Place designed their accommodations with families in mind. Parents’ bedrooms with a queen or king-sized bed come with multiple bedrooms for kids. The private cottages, inn, and guesthouse suites offer a variety to fit the privacy needs of different families. All-inclusive rates include a cottage, studio, or family suite accommodations along with three daily meals. The kids’ programs, windsurfing and kayaking, heated indoor and outdoor swimming, fishing, and evening entertainment. Bikes and pony rides are also available for each family member during a stay. Tyler Place is an “expensively rustic” summer camp for the whole family. Club Med is the mother of all-inclusive resorts, originally a French concept that started decades ago with a few tents on the island of Majorca. Just two hours north of Miami and an hour north of Palm Beach and situated along the Saint Lucie River, Sandpiper Bay in Florida is home to the Club Med Academies that combines a resort with unique sports facility and state-of-the art equipment. Their unique approach to sports and fitness introduces guests to a high-flying trapeze school, fitness centers, and academies focused on tennis, golf, and sailing. Sandpiper Bay also has plenty of options to just lay around on the beach and indulge in a spa day while the kids are busy at the children’s clubs. 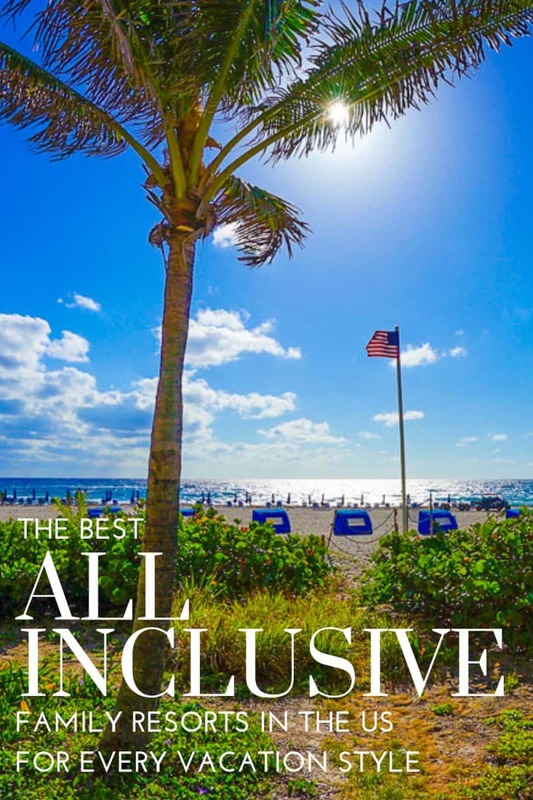 Club Med Sandpiper Bay is the only US location of the resort chain that defined the all-inclusive resort experience. Baby Club Med welcomes infants ages 4 to 23-months with outdoor walks, learning activities, and age appropriate games. For 2 to 3 year olds, Petit Club Med offers the chance for creative, artistic, and active exploration. Four to ten-year-olds head to Mini Club Med for Little Tennis, Little Circus, cooking lessons, and play groups. Tweens and teens have their own fun away from the little ones with exclusive teen spaces. Kids flex their muscles with sports activities like stand-up paddle boarding, sailing, and flying trapeze. There are also creative activities like filmmaking and talent shows before ending the night with beachside movie nights and parties. These activities must be the main draw for you and your family, and it would not be a choice based on luxury accommodations or cuisine. 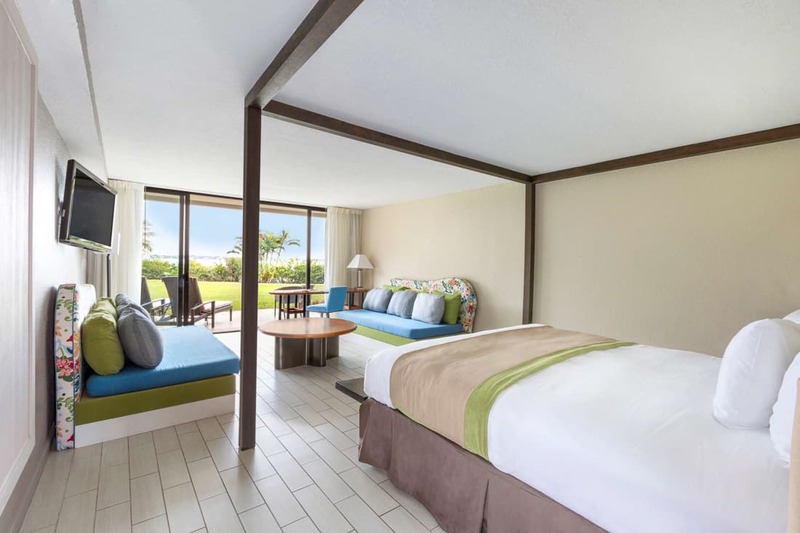 Accommodations at Sandpiper Bay include rooms with water views and family style rooms with separate bedrooms and bathrooms. Some rooms offer separate areas for bunk beds for some privacy for Mom and Dad without being too far away. 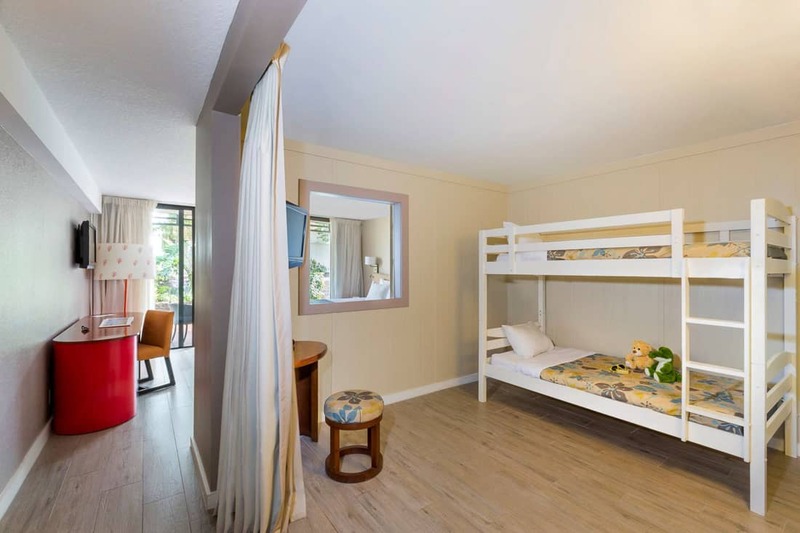 Family friendly accommodations at the Club Med Sandpiper Baby. Sandpiper Bay all-inclusive prices include full-board gourmet cuisines, children clubs for ages 4 to 17, unlimited water and land sports, access to resort facilities, and day and evening entertainment. The bar is also open for imbibing and casual snacking. 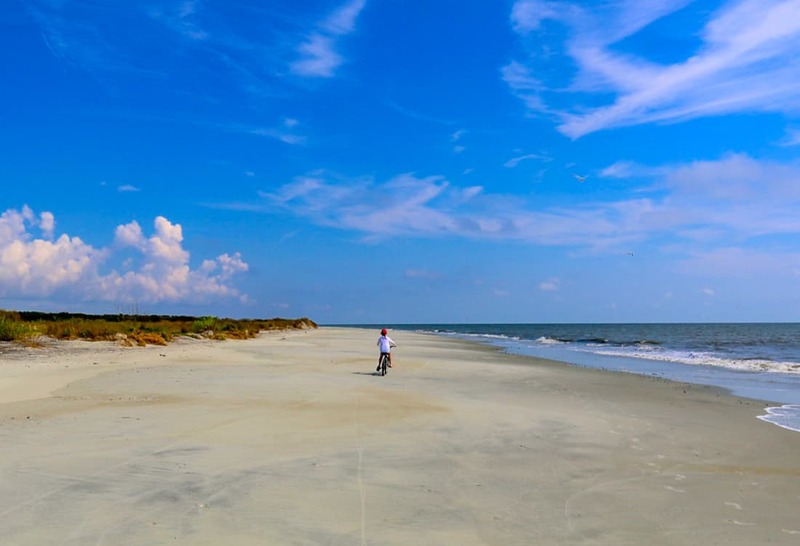 Tucked away on the Georgia’s Golden Isles, Little St. Simons Island stretches across 7 miles of pristine beaches and 11,000 acres of undeveloped wilderness. The island is only accessible by boat from nearby St. Simons Island. Hiking, bird watching, kayaking tidal waters, bike rides, and fishing are available with the guidance of resident naturalists and daily excursions to get up close with the flora and fauna. 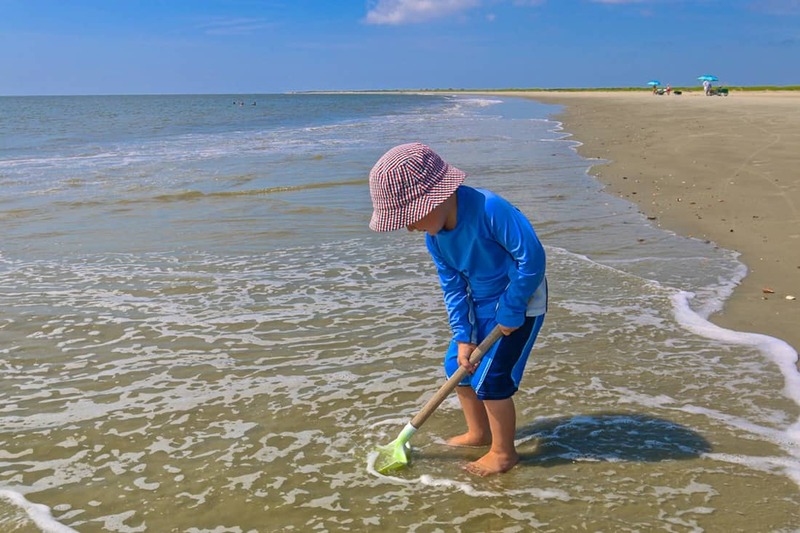 Little St. Simons Island is a private island resort for under 30 guests at a time. Lodging options include single rooms, entire cottages, and the full island available for rent. To get an idea of what to expect, the Michael Cottage features two bedrooms including one with a queen bed, living room with fireplace, two private bathrooms, kitchenette, washer and dryer, and a rear porch with an outdoor shower to refresh after a day outdoors. The Lodge’s all-inclusive rates include accommodations, boat transfers to and from the island, three meals family style. House wines at dinner and naturalist excursions create the daily ritual. Guests are also welcome to use all recreation equipment free of charge. 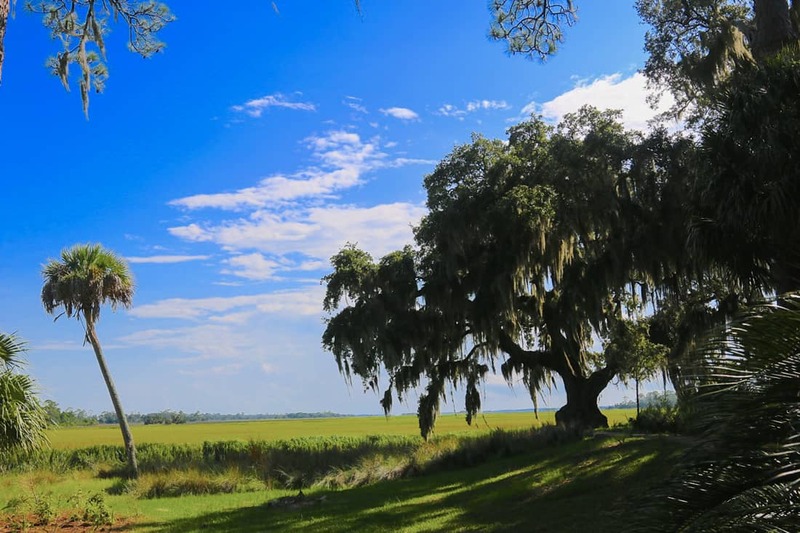 You can read about our complete review of Little St. Simons Island. Guests have access to bikes on this Georgia beach which is completely undeveloped. Could any resort be more historic than the setting for Jane Seymour’s and Christopher Reeve’s Somewhere in Time? 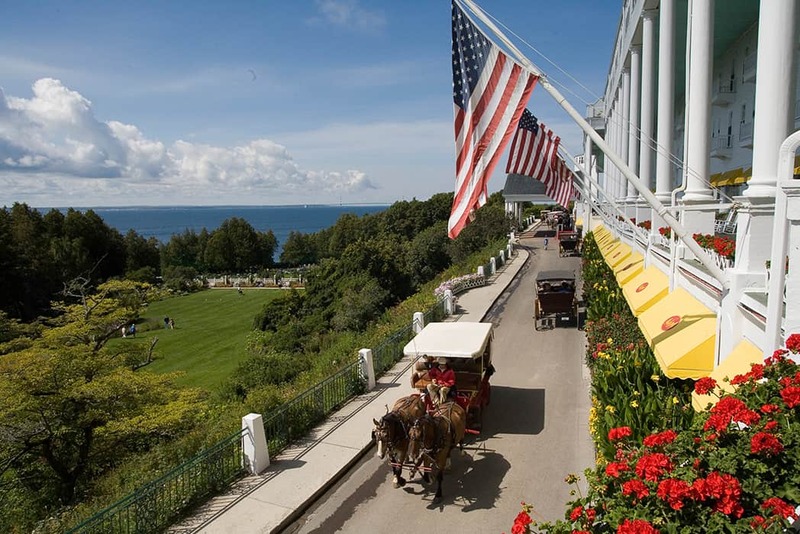 The Grand Hotel on Mackinac Island in Michigan features the world’s longest, and perhaps most famous hotel porch. Accommodations at The Grand Hotel include nightly turndown service among the 393 guest rooms that are individually decorated with themes. Book the First Ladies room or Jane Seymour and the Somewhere in Time Suite. One and two bedroom options are available for families needing extra space. The Grand Hotel opened its doors in 1887 on Mackinac Island in Northern Michigan. Activities span all ages from 18 holes of golf on The Jewel to 8 holes of “Foot Golf”. Tennis, pickleball, swimming, lawn games in the Tea Garden, horseback riding, and carriage tours are available. 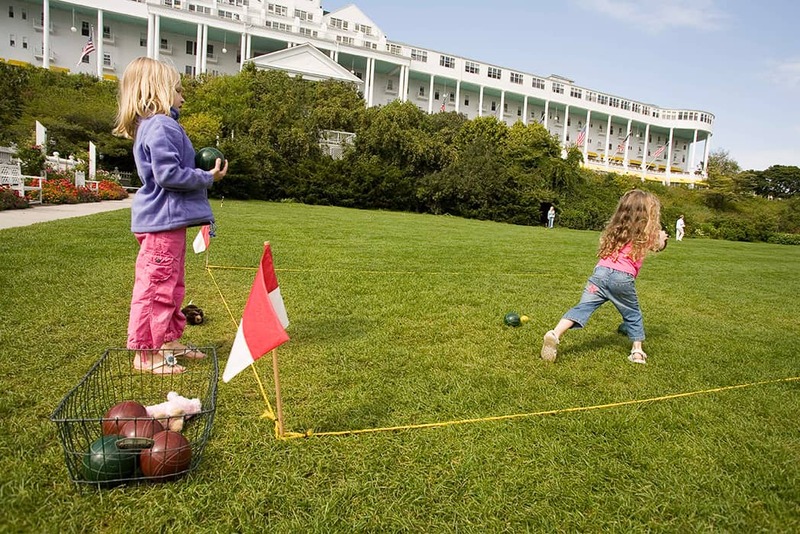 The resort arranges excursions around Fort Mackinac and to area shopping, too. Live music is also plentiful at the Grand Hotel as families lounge in the gardens or take Afternoon Tea. There is a daily children’s program for kids aged 5 and older from 2 p.m. to 5 p.m. and again at 6pm and 9pm. The evening hours include a kid-friendly dinner. The island doesn’t permit cars, and guests ride in horse drawn carriages. 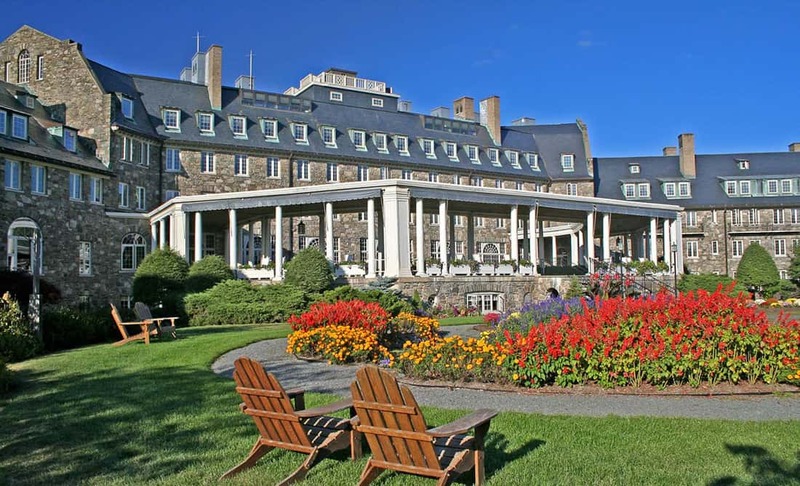 The Grand Hotel’s all-inclusive rates include the Grand Hotel’s Full American Plan (FAP) with a full breakfast, luncheon buffet, and daily dinner in main Dining Room. Kids 9-years and under stay free and all children’s rates come with same meal plan as an accompanying adult. Seasonal packages include golfing, murder mystery, and princess and superhero themes. The popular event of the year at the resort is a Fourth of July celebration with many special events and fireworks seen from the porch. Rates post the November prior, and rooms sell out. 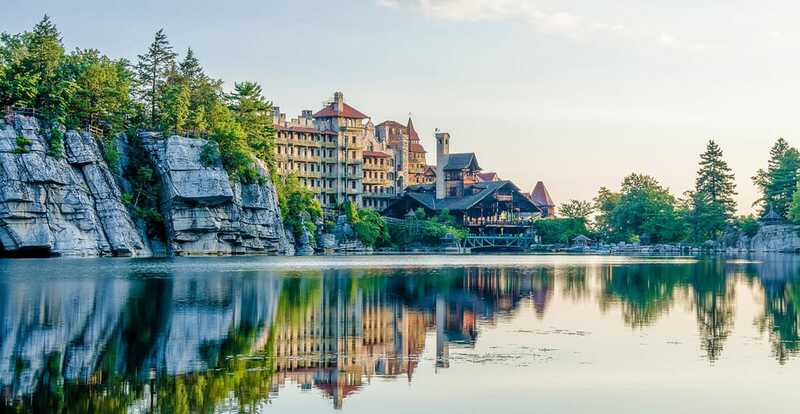 Just ninety miles north of New York City lies the Mohonk Mountain House. Surrounded by 40,000 acres of Hudson Valley Forest, the resort showcases sparkling lakeside and Catskill views. This resort began hosting outdoor enthusiasts in the 1870s. Resort amenities entertain families with archery, horseback riding, hiking, and mountain biking among other activities from ambitious to relaxing. For more leisurely adult options, the spa can work on sore muscles before the property’s library offers some quiet. Carriage rides, boating, and a historic house tour move guests around the property and beyond. The incredible views and setting are what guests love about this historic Hudson River Valley resort. Mohonk Mountain House award-winning Kids’ Club offers complimentary summer and weekend programs throughout the year for little kids to teens for a mix of playtime and learning. Groups are divided by Tykes, Explorers, and Adventurers ranging from ages 2 to 12 with morning and afternoon sessions. Activities include guided horseback riding hiking, and fishing. For teenagers ages 13 to 17, a Teen Program is available with varied activities like rock scrambles, tomahawk throwing, and disc golf. A game room to hangout and watch movies with new friends is open in the evenings. The historic rooms are comfortable and traditional in this 3-star resort. 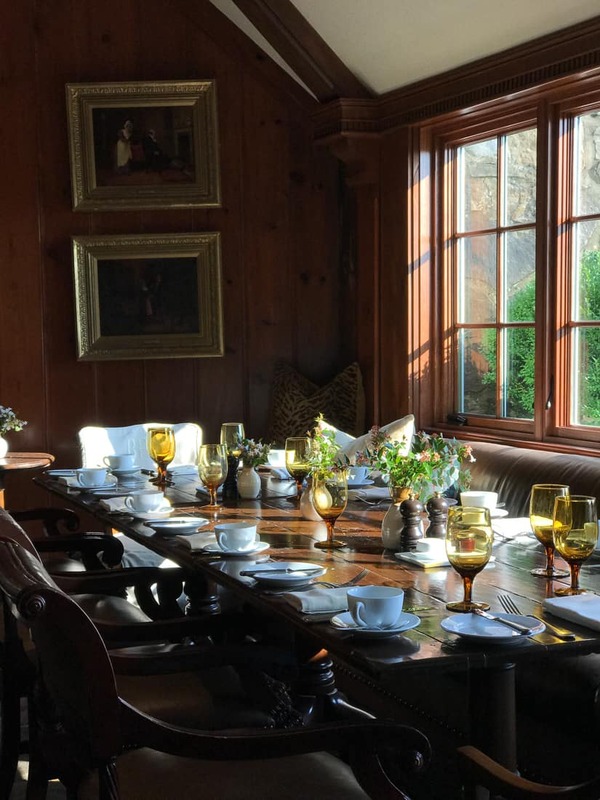 Rooms at the Mohonk Mountain House include Tower Rooms with open living areas and wood-burning fireplaces Victorian rooms come with private balconies and fireplaces. 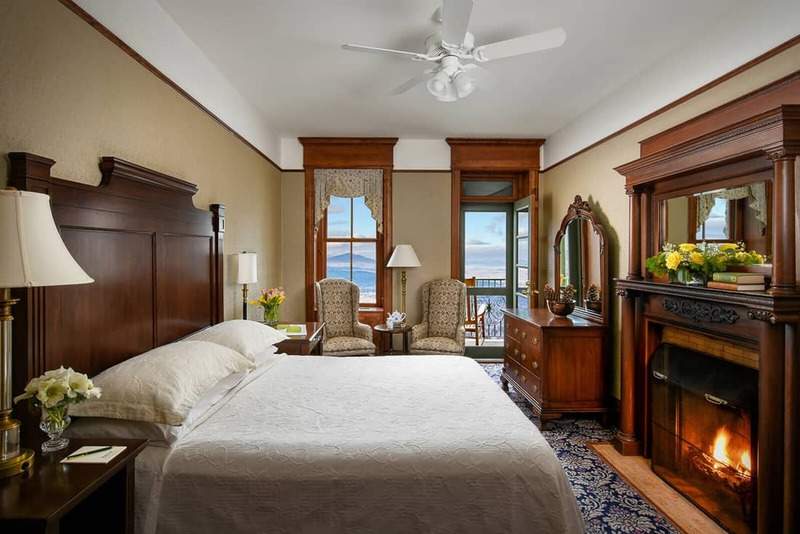 Traditional rooms feature antique-style furnishings. A larger Grover Lodge is available for large groups with multiple guest rooms, a Great Room, and eco-friendly features. 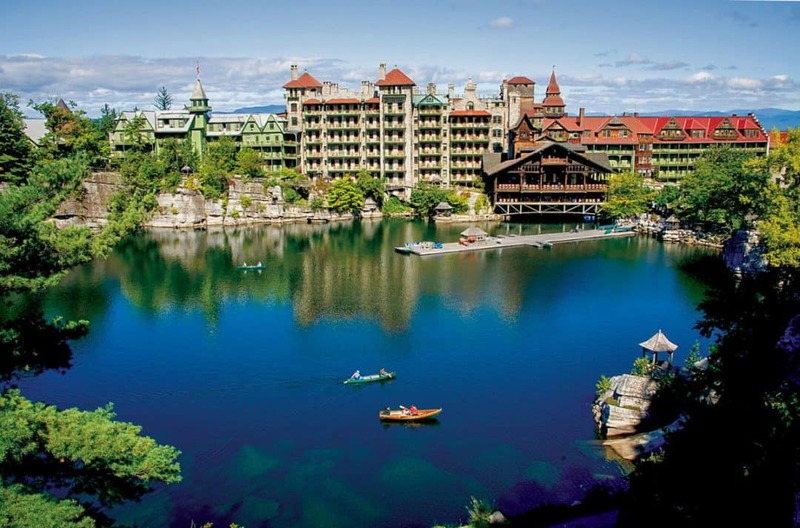 Mohonk Mountain House rates include accommodations, meals, afternoon tea, and most activities and entertainment. Pennsylvania’s Skytop Lodge is a mountaintop Georgian manor from the 1920’s. Eco-conscious family trailers value Skytop Lodge’s sustainable focus with a much-deserved PMVB Green Tourism Achievement Award. Guests climb into the trees to view the Poconos from above with a treetop adventure zipline over the forest floor. The resort features 5,500 rolling acres with evergreen forests, scrub oak forests, a rhododendron swamp, glacier pond, waterfalls, and grassy meadows. Skytop Lodge on-site resort activities include a 12-station sporting clay course, year-round hiking, golfing, archery, and an indoor pool. During summer months, kids flock to the Skytop Lake Beach for water activities and enjoy warm weather activities like lawn bowling, paddle boarding, and paintball. Wintertime ice fishing and cross-country skiing offers cold-weather fun. For luxury relaxing, guests book services for a massage, skin care, mani-pedis at the property’s spa. 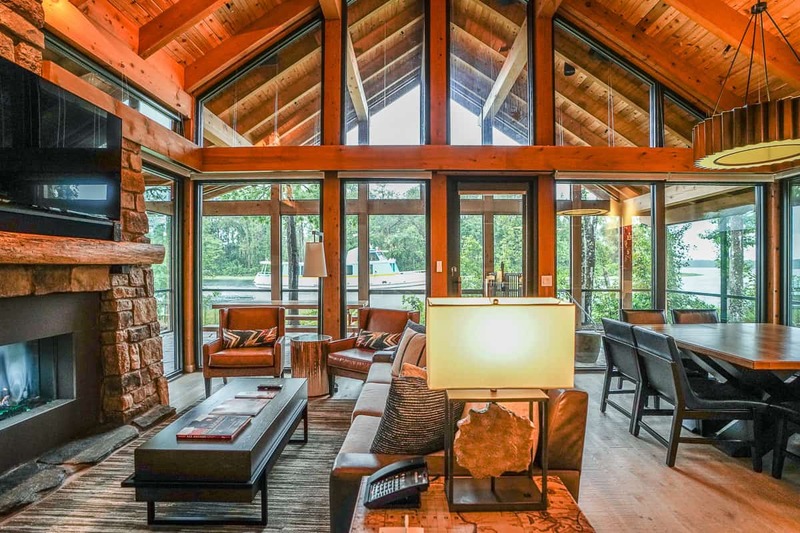 The accommodations at Skytop Lodge include guest rooms and suites in the luxury lodge while the inn offers 18 connectable guest rooms with fireplace, refrigerator, private balcony, and executive suites. 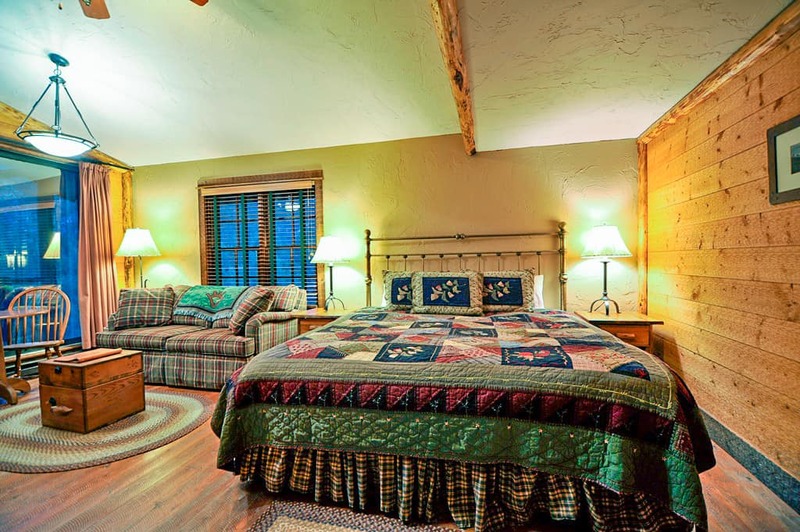 Skytop Lodge offers rooms furnished simply in historic reproduction furniture. The private cottages are more spacious but less formal. 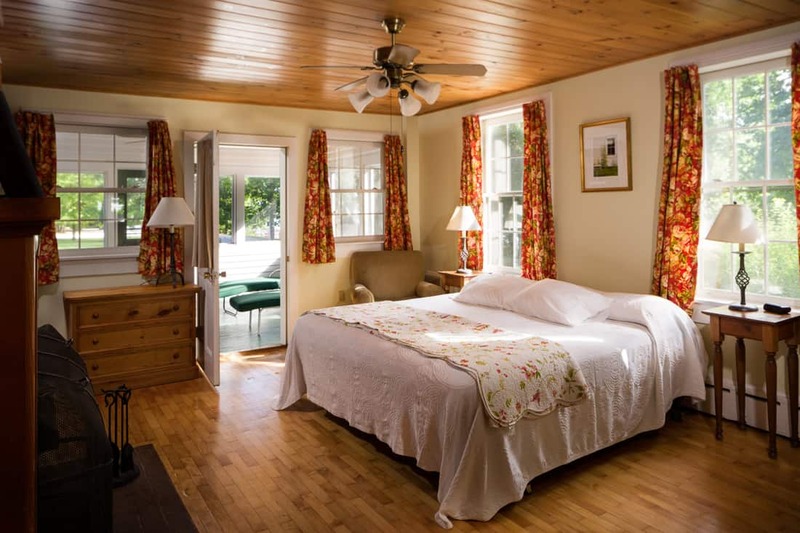 The private cottages feature four separate guest rooms with a shared hallway, private baths, and porches for large groups. Streamside cottages come with connected bedrooms complete with king-size beds and fold-out sleeper loveseats. Skytop Lodge all-inclusive rates include accommodations, meals, and access to resort facilities. Recreation includes 30-miles of hiking trails, indoor and outdoor pools, water sports along the lake, and golfing at the 18-hole course. Nestled in Santa Barbara wine country, Alisal Guest Ranch & Resort features 10,000 acres to explore by foot or horseback. Some 50-miles of riding trails take families on idyllic rides past spring-fed lakes and wildlife spotting opportunities. Parents can also lead little their bucks around the corral on horseback to give them a taste of galloping through the fields. Championship golf courses, cycling, tennis, archery, boating, and —of course— wine-tasting at the vineyards are available for guests. Created with kids in mind, a barnyard houses roosters and critters to meet and greet while a year-round arts and crafts class includes candle making and painting. Parents can drop-off children aged 6 years and older for this program. Accommodations at the Alisal include 73 pastoral suites and studios with authentic Western décor, wood burning fireplaces, and refrigerators. Large groups can book adjoining studios or suites. Some accommodations include furnished private patios, wet bars, and multiple full bathrooms. Alisal all-inclusive rates include accommodations, full breakfast and dinner daily, and complimentary wine tastings at nearby wineries. For a Rocky Mountain adventure, Colorado’s Vista Verde Ranch blends rustic Western charm with upscale luxury. Located north of Steamboat Springs, Vista Verde Ranch offers theme vacations to fit the season from classic dude ranch adventures in the summer to an adults-only cow clinic in the Autumn. 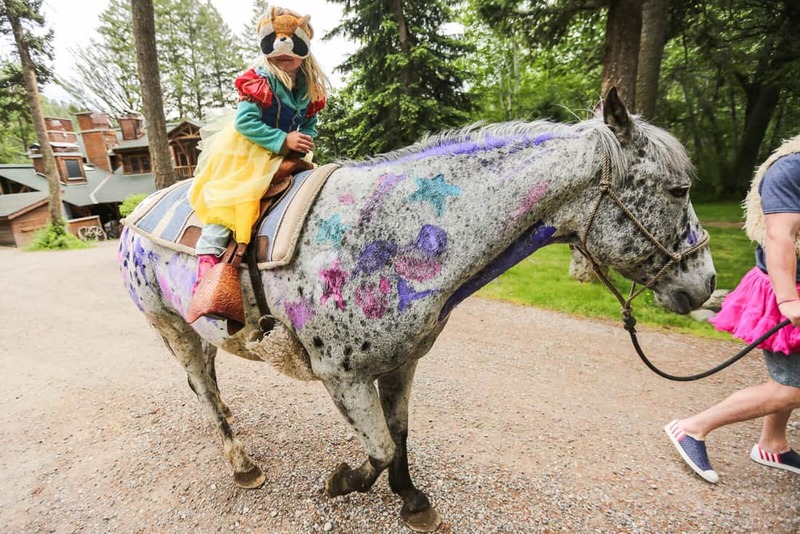 Seasonal kids programs offer pint-sized adventures feature horseback riding, and fishing. Colder months invite families to its winter wonderland for skiing, sleigh rides, and snow tubing. Seasonal kids’ programs get them outdoors and into the fresh mountain air while adults explore on-resort activities. Adults can also try their hand at weekly cooking classes and refine their palate at wine tasting before reuniting with the the children at a barn dance and evening entertainment. 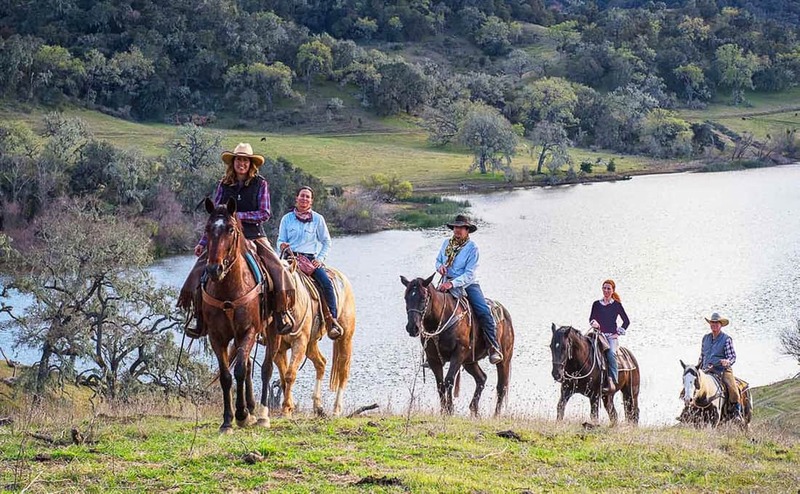 Guests at Vista Verde Ranch choose private cabins or deluxe lodge rooms with multiple bedrooms, living rooms, wood stoves, and private hot tubs to unwind after a day of hiking or riding horses. The all-inclusive rates at Vista Verde Ranch include accommodations, three daily meals, horseback riding, guided hikes and mountain biking, paddle boarding, rock climbing trips, photography workshops, and an assortment of wine, beer and sodas. Rates also include kid, tween, and teen programs for ages 6-years and older. Mountain Sky opened its doors to guests in 1929 with upscale amenities, fine dining, and 17,000 acres of unspoiled wilderness. With sweeping views of Montana, the property’s dense landscape stretches near the Yellowstone River along Paradise Valley. There are meadows, pine forests, and aspen all the way to the Gallatin National Forest. Adventurous families hike through miles of trail, go rafting down the Yellowstone River, or try their hand at mountain stream fly fishing. Grown-ups can indulge in afternoon yoga sessions or a massage while kids splash in the pool with views of Emigrant Peak. For a family bonding experience, Mountain Sky offers family-style barbecue and an hors d’oeuvres hayride before snuggling around the campfire. Programs are available for guests 6 years and under with scavenger hunts, lead-line horseback rides, and games along with evening sessions so kids can eat with new friends while grown-ups unwind. Older children and teens also have organized fun with talent show skits, learning to shoot clay targets at the supervised shooting range, and organized offsite adventures. Although some of Mountain Sky’s rustic cabins date all the way back to the 1920s, all accommodations are carefully restored and refurbished for a luxurious experience. Guests can choose from cabins with stone fireplaces, multiple bedrooms, and dazzling views of the mountainside or stream. Mountain Sky’s all-inclusive rates include lodging, all meals, and ranch activities including horseback riding, hiking, golf, yoga, and fly-fishing instruction. 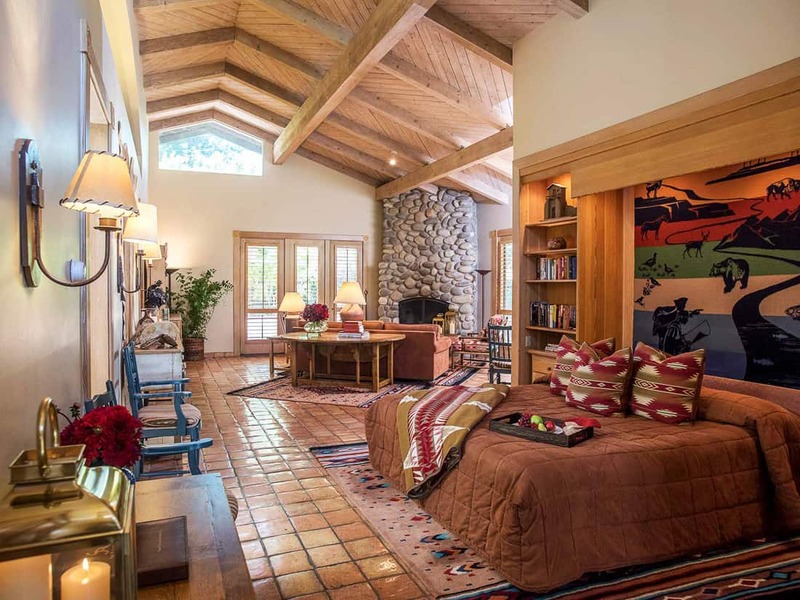 Guests also have access to all ranch facilities and amenities including heated pool, hot tub, sauna and tennis courts. Situated between Grand Teton National Park and the Bridger-Teton National Forest, Lost Creek Ranch combines outdoor family adventure with an upscale luxury. This privately owned resort near Jackson Hole, Wyoming can fill days with adventure. Casual hiking is plentiful for active families, but more challenging and technical climbing opportunities are also available for ambitious climbers. The staff can also plan hot air balloon rides drifting over the landscape and book a round of golf. A Kids Program is available in horseback riding, hiking, fly fishing, and float trips along with excursions to the national park. 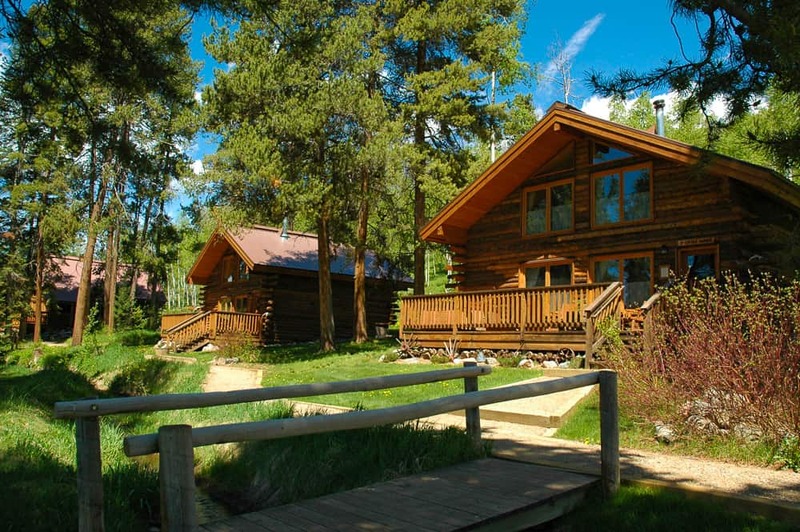 Accommodations at Lost Creek Rustic feature cabins blend the rustic with modern amenities. Guests can choose from two-bedroom and two bath cabins. Cabins also come equipped with kitchenette, fireplace, lounge area and a living room area. Lost Creek Ranch provides an upscale dude ranch experience for aspiring cowboys at heart. 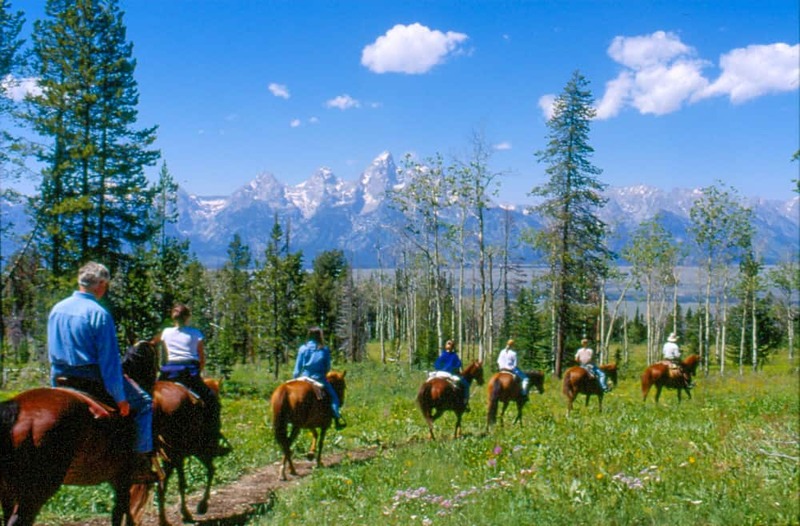 Lost Creek Ranch’s all-inclusive rates include accommodations and all meals, housekeeping, personal laundry service, horseback riding with group instruction, hiking in Grand Teton National Park, youth activities, yoga, tennis, heated swimming pool and recreation. Off-property activities like white water rafting and fishing trips can be arranged through the front desk for a fee. The quiet getaway at Winvian resort lies in Litchfield Hills, Connecticut alongside 113 acres of woods and lakes. The property features five-star cuisine at a farm-to-table restaurant, wine tastings, and spa for adults looking for an indulgence on vacation. Winvian is a design and architecture lover’s dream where every structure on property is unlike any other, from the traditional to the whimsical. Unlike many resorts, children and families are only allowed on specifically designated dates at the property. The three-day weekends that include Monday holidays and the Christmas and Thanksgiving holidays are the family dates. This can make Winvian an ideal place to book a vacation whether you’re looking to get away on a grown-up only trip or to meet up with other families for a kid-friendly weekend in Connecticut. Horseback riding, a 40-foot swimming pool, hiking, and fitness classes like yoga keep families busy. The Hadley Suite is the only traditionally decorated option on property, and every inch is sumptuously appointed. We loved the chinoiserie style of the red sitting room, and the bathroom was one of the largest ever in our travels. The distinctive accommodations are what makes Winvian stand apart. Luxury cabins dot the Winvian landscape with whimsical architecture. Each cabin is extensively themed and different. A stone cottage and treehouse suspended 35 feet above the forest floor. 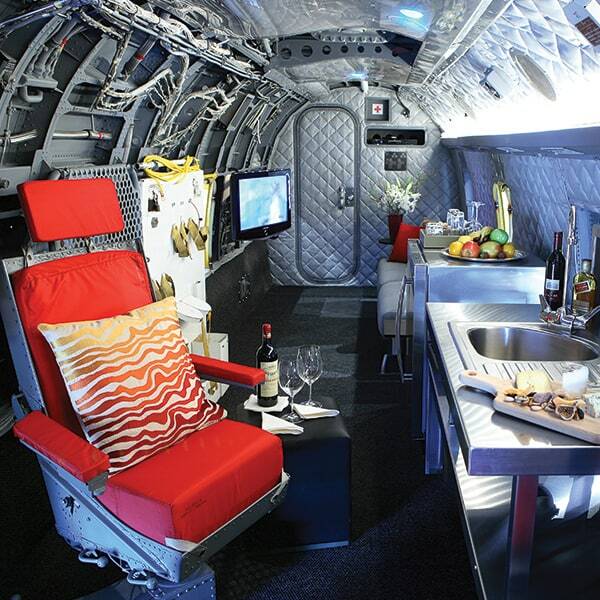 It’s hard to beat the uniqueness of their Helicopter Suite. Even the most traditional Hadley Suite we stayed in was gorgeously appointed. Many cottages come equipped with gas or wood burning fireplaces, radiant-heated floors, steam showers, jacuzzis, and full bars along with artistic touches and detailing. Winvian all-inclusive rates include accommodations, most resort activities, dinner, and breakfast with varied rates for family-friendly weekends. Winvian’s restaurant is closed during lunch. For those parents unwilling to sacrifice style and luxury while enjoying a country break, few options beat Blackberry Farm in Eastern Tennessee. Families on the hunt for mountain adventure quests head to Blackberry Farm for stream exploration, geocaching, and archery. There’s even the chance to hone farming skills before retreating to magazine worthy accommodations for the day. For those four-years and older, Camp Blackberry and Blackberry Youth Discovery take campers on a kid-only adventure including culinary arts, crafts, and outdoor fun. The Youth Discovery program for those aged 10 and older teaches children how to paint, build ceramics, farmstead, and explore the property with others their own ages. 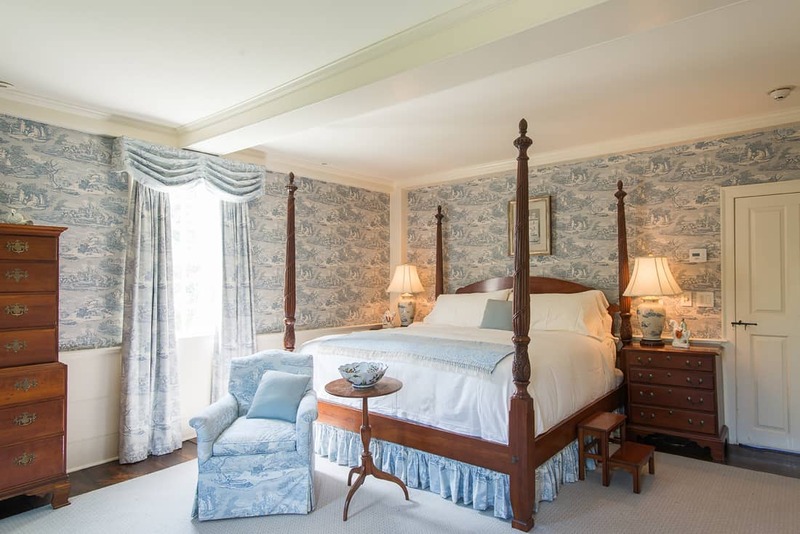 Accommodations at Blackberry Farm include historic and estate rooms, suites, houses, and cottages. The Garden House features a main house with two cottages clustered near each other for larger groups and includes heated bathrooms, fireplace, hardwood floors, and a full kitchen to arrange private chef experiences. Sweeping views, plush robes, and luxury linens treat guests to high-end comfort and relaxation. While the kids are busy, grown-ups enjoy culinary and tasting activities along with a full spa and carriage rides, wildflower hikes, or car tours. Blackberry Farm’s all-inclusive fees include accommodations, meals, snacks, and children’s programs at Camp Blackberry. Some resort activities and recreation are also included. Because some club lounges offer extensive food and drink, a club level room provides a near all-inclusive experience. The best lounges offer breakfast, a light lunch, a makeshift dinner of appetizers, cocktails, and dessert. While most lounges offer the above, it is the appetizer spread that may or may not suffice for dinner. It is the one meal that is hardest to feed children. After spending a week at both Ritz Carlton Naples resorts club level, we became completely uninterested in dinner after a few days. Dinner is the only meal that needs some supplementing in most club lounge experiences, but it is never hard to find 2,000 calories at any of them. Our favorite Ritz-Carlton resorts include Naples and Orlando in Florida, Laguna Niguel in California, and Bachelor Gulch in Colorado. Though we haven’t tried them, The Ritz-Carlton Los Angeles and New York Central Park are considered exceptional lounges. In Chicago, you cannot beat the club lounge at the Langham for atmosphere and generous food displays presented by very personable butlers. 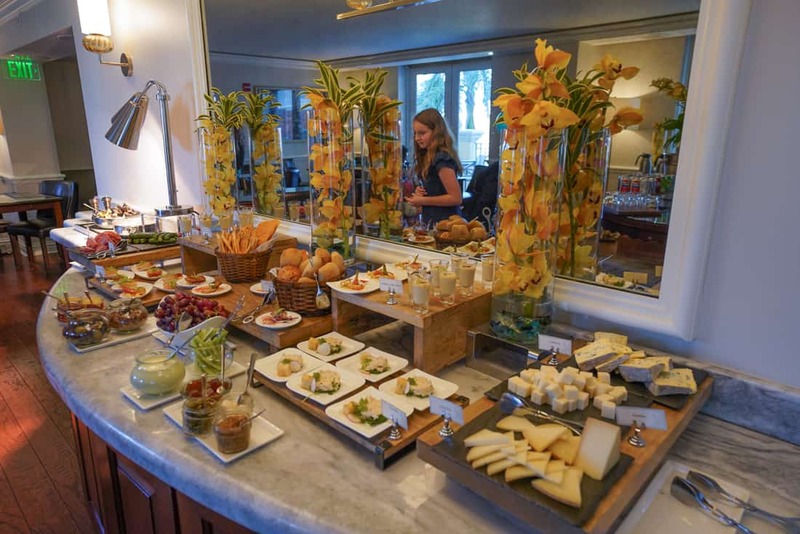 And in Charleston, the Belmond’s lounge becomes quite popular at cocktail hour for the extensive spread of hot and cold hors d’oeuvres. 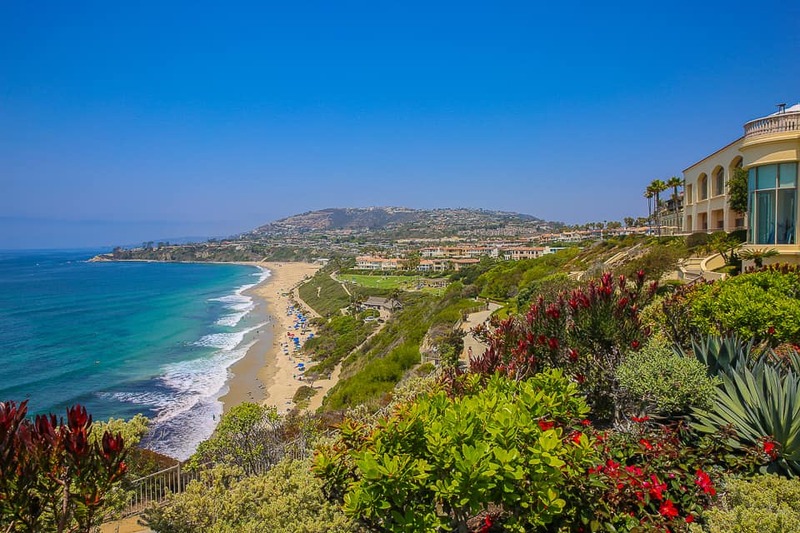 The Ritz-Carlton Laguna Niguel offers sweeping Pacific views in Orange County. 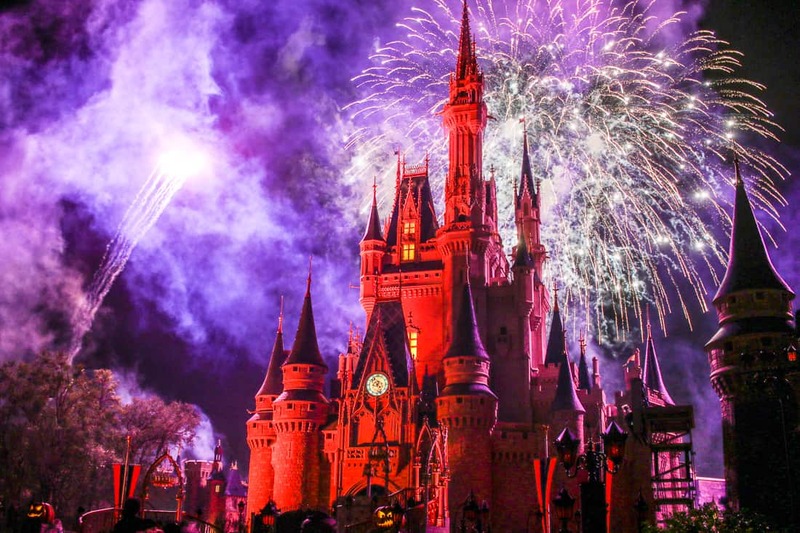 The Disney Dining Plan began offering alcoholic beverages with their plans this past year, and tired, smiling parents raised a glass in return. For those who book a vacation package with a Disney resort, park tickets, and a dining plan, you have an all-inclusive vacation. Disney resort packages also include free airport transportation. For the most luxurious option that doesn’t feel like a theme park resort, we suggest the new cabins at Copper Creek. These stand-alone cabins are part of the Disney Vacation Club offering at the Wilderness Lodge. A screened-in porch on Bay Lake includes a fireplace and a hot tub. The soaring ceilings of the open kitchen and living room make the place feel large and airy. It’s true the water shuttle to Magic Kingdom will pass by, but it still feels like your own paradise. The Copper Creek Cabins at the Disney Wilderness Lodge don’t feel like anything else on Disney property. There are smaller resort room options that are less money. All of the deluxe Disney Resorts have strong signature restaurants for dinner. For foodies wanting to try as many different dinners as possible on the dining plan, we prefer the Grand Floridian and Beach Club properties to enjoy the restaurants of many nearby resorts. Transport by boat, monorail, and walking makes several dinner choices within easy reach. With a Disney Dining Plan that now includes alcoholic beverages, Disney World is the most popular all inclusive vacation for families. Additional reporting by Susan Finch. Great ideas! I’ve been looking for a listing like this. You’ve given me some great ideas for our annual family reunion.